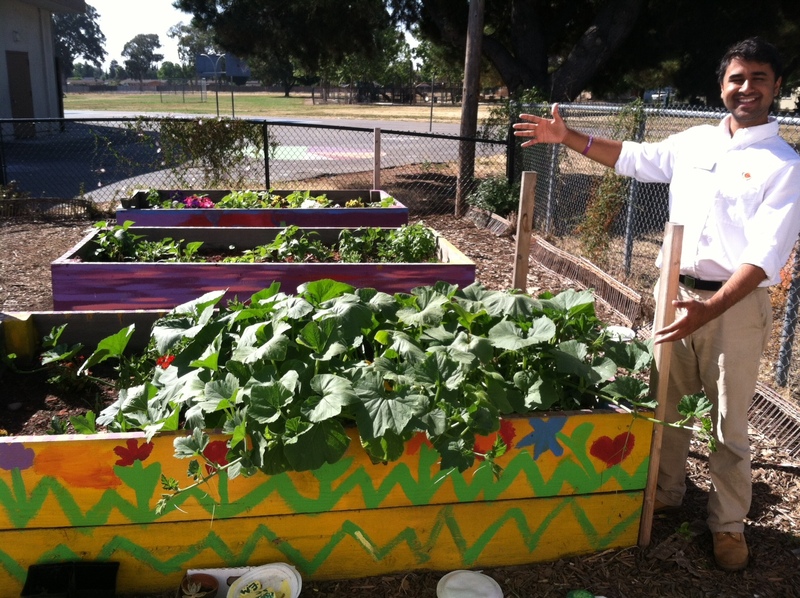 Joey spent 18 weeks working with students in his school gardening club. What once was an unused, weed-filled space is now a sprawling oasis! Students have planted marigolds, pansies, daisies, strawberries, tomatoes, lettuce, pumpkins, kidney beans, radishes and spearmint. The students are incredible proud and dedicated to keeping their new space bountiful! This entry was posted in After School Program, Cisco, Uncategorized by City Year San José/Silicon Valley. Bookmark the permalink.